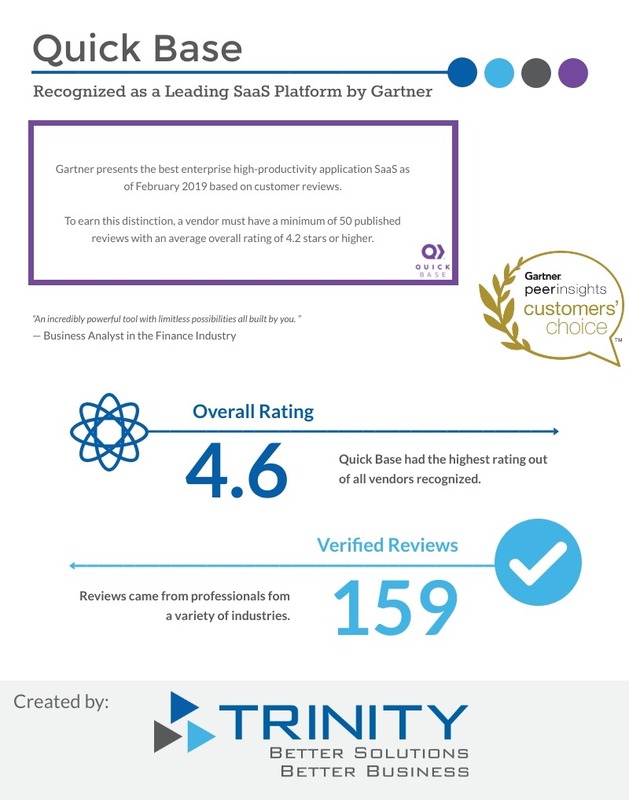 Gartner Recognizes Quick Base as a Leading SaaS Platform! 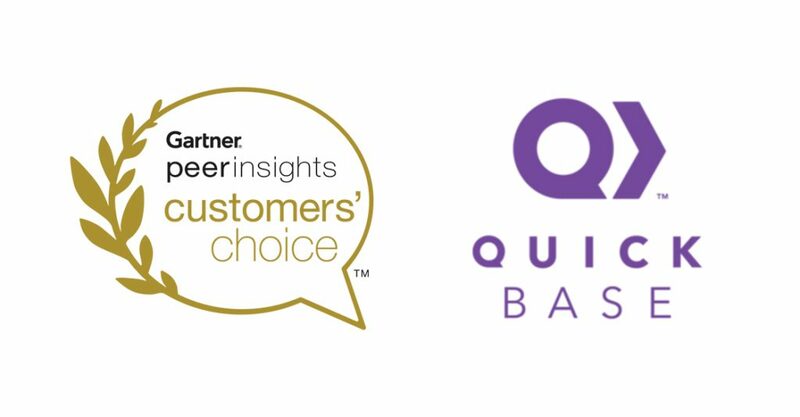 We are very excited that Quick Base has been recognized as a leading SaaS platform in Gartner’s Peer Insights Customers’ Choice award. This distinction is based off of verified customer reviews and ratings. Quick Base had the highest rating out of all the vendors recognized. To earn this recognition, each vendor considered needed to have at least 50 published reviews. In addition, a rating of 4.2 was the baseline before a vendor could be considered. Quick Base went above and beyond these requirements with a 4.6 average rating and 159 verified reviews at the time of the consideration. Trinity Integrated Solutions is a Quick Base Gold Partner and Quick Base Solution Provider. Flexibility and scalability are integral to our solutions, since we understands that growing businesses evolve over time. For over 21 years, Trinity has worked with clients to improve their efficiency, increase service levels, and upgrade their quality of output. If you are interested in the Quick Base platform for your business, reach out to us here at Trinity. We would love to develop a custom solution made to meet your business’ goals!